Need a suit made in 24 hours? Want a copy of your favourite dress made in a different colour? The Fabric Market on Lujiabang Lu, also known as The South Bund Soft Spinning Material Market, is a tailoring mecca. For the price of mid-range off the rack clothes at home, that never quite fit properly, you can have made-to-measure clothes that fit perfectly and in whatever colour or style you like. In this guide I'll tell you which stores to visit, and what to do once you find them. It's completely subjective, based on the making of some several hundred garments over the past year, for myself and for visitors of all ages, shapes and sizes. 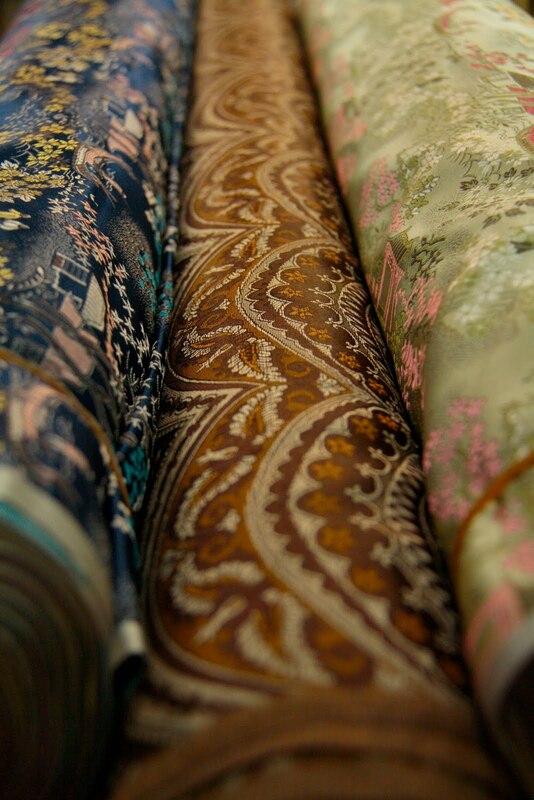 There are undoubtedly other gems as yet undiscovered, but this guide is meant as a way to get you started at the fabric market, and once you know the ropes you'll have more luck at finding those gems for yourself. I'll cover ten stores in all, five today and five tomorrow. The lowdown - the 'market' is indoors and has three floors, with 60 to 80 tailors on each floor Each tailor's shop specializes in a particular kind of garment and/or fabric. Some only make business suits, others only shirts, several just work in cashmere, velvet, leather, or denim, and a number of shops make Chinese dresses (qipaos) and jackets. 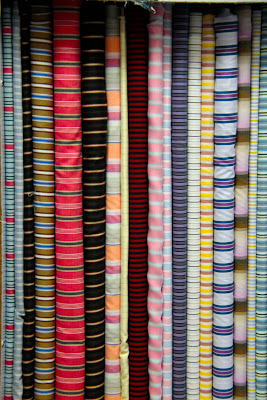 In each store they have 20 to 30 garment styles to choose from, and a range of their own fabrics - from twenty to two hundred rolls or more. It's an overwhelming experience the first time you go, and more than once I've taken visitors there only to have them do a fast lap of the ground floor and walk straight back out again. Knowing you will be overcome by choice anxiety, it's best to have some general idea of what kind of garment you'd like to get made before you go, for example a cashmere coat or a summer dress. Only last month I took a visitor to the fabric market not expecting to buy anything myself, and came away having ordered a reversible cashmere cape. It's 38 degrees outside! I won't wear it for months! But this is exactly what happens when you don't go armed with a plan. So take a stroll through all three floors, then hone in on whatever interests you. Now you've found a store with samples you like the look of. 1. Decide on a style. Pick out the sample you like and try it on. There are no change rooms so this usually happens behind a sheet held up by the store owner to protect your modesty. Many tailors can also copy a garment you provide. 2. Ask a price and decide on it before going further. Once they've measured you up they know you're hooked and the price goes up. Expect to be able to bargain 10% off the original quoted price. 3. 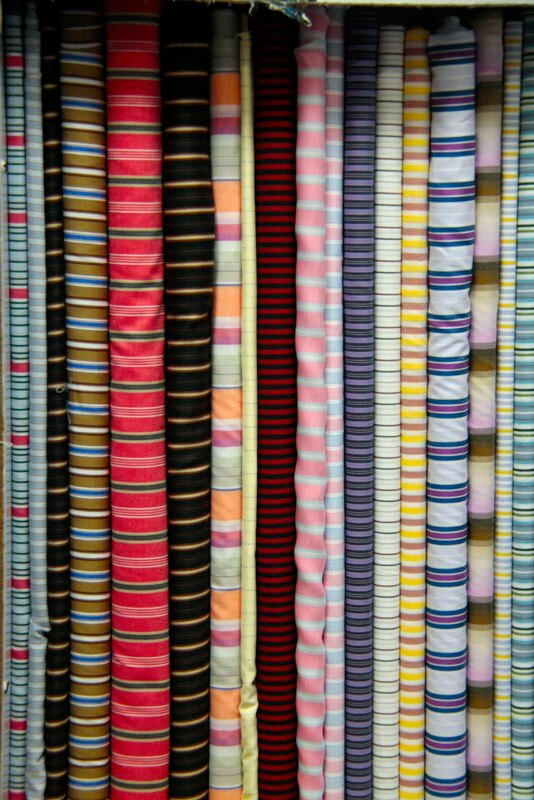 Choose a fabric. If you don't find one you like in the store, you can usually buy by the metre from any store in the market and bring it back to them, and be charged only for making. Check first with the storekeeper because this is not always possible. 4. Final details of the garment should be decided very specifically, unless you want the garment exactly the same as the sample. Things like necklines, sleeve lengths, looseness of fit, pockets and cuffs should be decided. 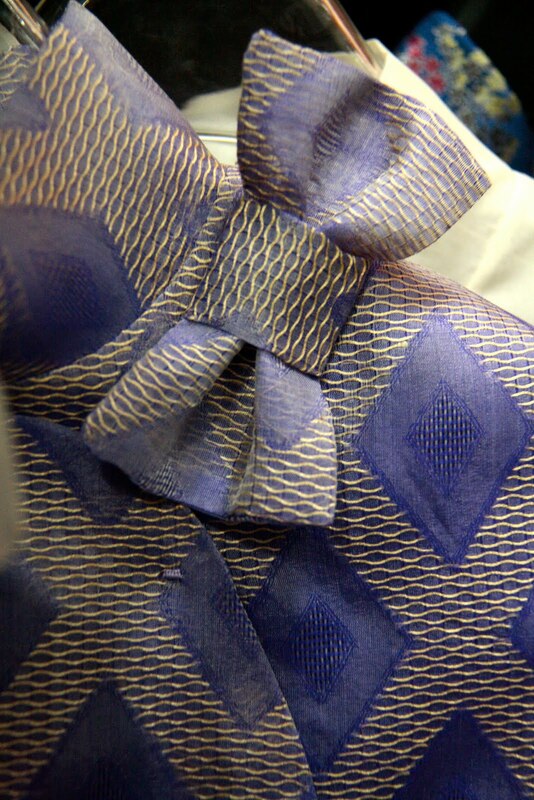 Check the lining colour and fabric, and specify a different one if you don't like it. 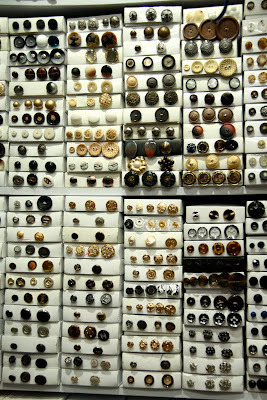 Ask about buttons, and if you prefer provide your own from the Button Shop 231 (see below). 5. Get measured. This is where every bit of you gets measured and recorded on the order sheet. 6. Pay a deposit. Generally 50-60% of the total is paid up front, and the remainder on completion. You will be given a copy of the order. 7. Decide on a delivery date. Generally, too fast = shoddy workmanship. 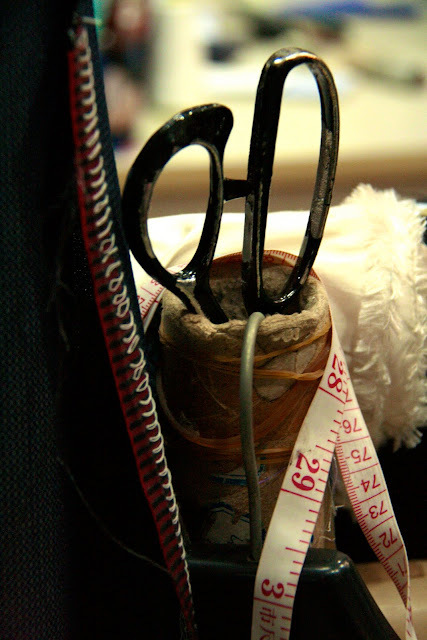 The best results come when the store is given adequate time to complete garments. I allow five days for dresses, shirts, skirts and trousers, and seven days for suits and coats. 8. Collect your garment. Always try it on. Any adjustments needed will be free of charge, but usually take 24 hours, necessitating a return trip. I've found adjustments are necessary around 30% of the time, higher with fast turnarounds. Pay the balance once you are happy with the fit and workmanship. Shirly has hands down the best cut, fit and workmanship in the market. She specializes in high quality silks and cashmere, and you will pay extra for the fine fabrics and the exquisite details and hand finishes. Her garments are inspired by Marni, Shiatzy Chen and Louis Vuitton. If you need a jewel coloured opera coat, an incredible classic camel cashmere coat, or a dress for a special occasion, Shirly is it. Cashmere coats 1100-1800 yuan ($170-300), depending on cashmere grade chosen. Dresses 700 yuan ($110). Allow 7 days. Shop 226 specializes in shirts for both men and women. Their cottons are excellent quality and their workmanship is great. 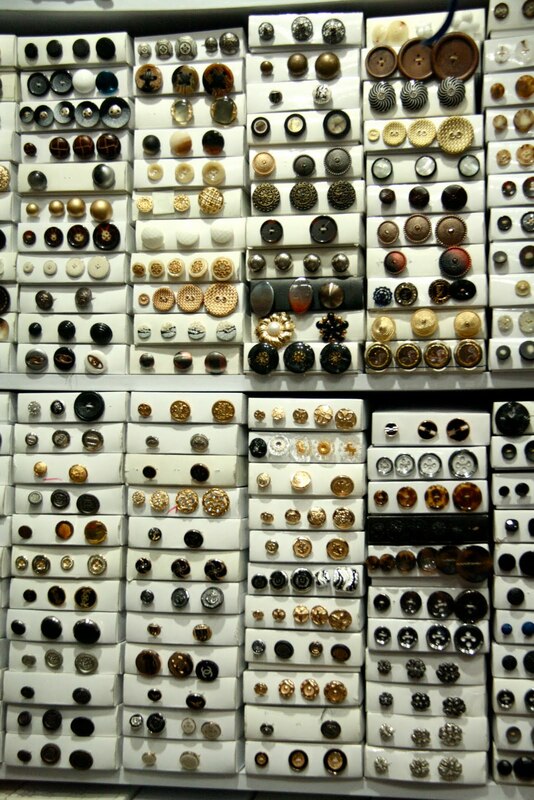 I haven't replaced a single button yet on any of my shirts. 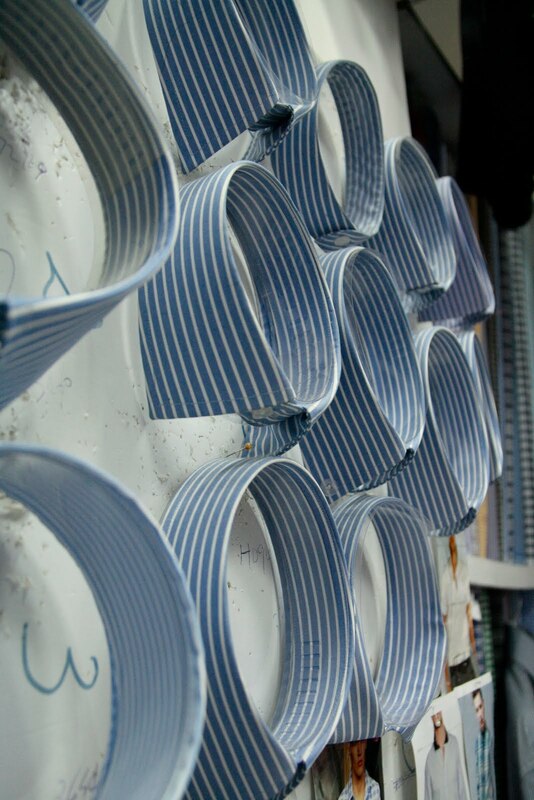 Choose a fabric, then select collar and cuff styles from the board. Shirts range from 100 - 150 yuan ($16-25) depending on size and complexity. They will also make any style into a shirt dress for about 150 yuan. Allow five days. Shop 303 make mostly skirts and trousers, in relaxed styles, in wool, cotton or linen. They also do a line in pleated woolen tartan skirts, if that's your thing. Their fits are good, and prices are very reasonable. Less than 200 yuan ($32) for skirts or trousers. Allow 5 days. Mina speaks excellent English, a massive bonus when it comes to honing details of cut or fit. Her store specializes in jackets and coats in cashmere and wool. Last winter Mina made hooded duffel coats for all of us in medium grade cashmere for 650 yuan ($110). They had proper toggles, lovely pockets and were fully lined. She also makes long men's cashmere coats in classic cuts for around 1100 yuan ($170).